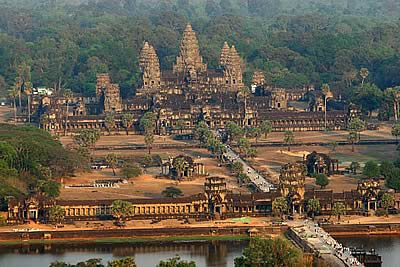 There's an overhead shot of Angkor Wat... for sure what surprised us was the height of the complex. You can climb up some of the spheres & the sites from there were something else. How something like this could have been built in the early 12th Century is beyond us!